Taeyeon of Girls’ Generation will hold a solo concert series in Seoul next month to kick off her Asia tour, her agency said Friday. 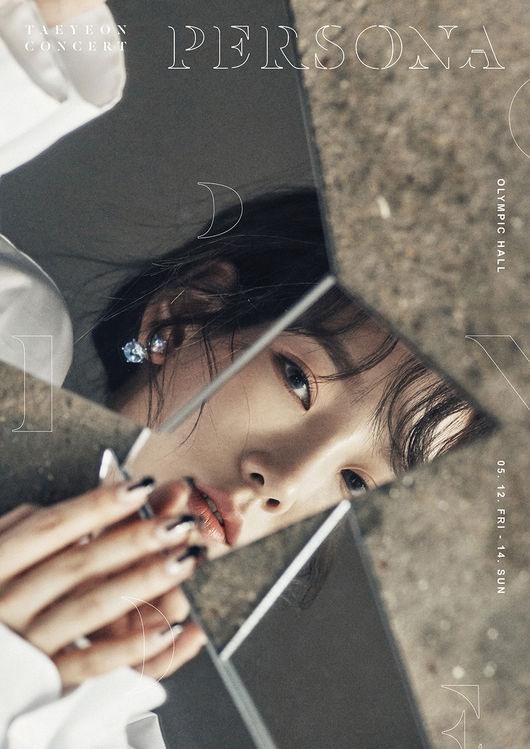 The “Taeyeon solo concert: Persona” series will be held from May 12 to 14 at the Olympic Hall of Seoul Olympic Park in southern Seoul, according to S.M. Entertainment. It will mark the second time she will perform in solo concerts, following Seoul and Busan gigs last year. Following the Seoul concert, Taeyeon will embark on a tour across Asia, covering cities including Hong Kong, Taipei and Bangkok. The 28-year-old will show off her famed vocal prowess by performing her hit songs, including ones from her recently released first studio album “My Voice.” The deluxe edition of the album was released Wednesday. The tickets will be available from 8 p.m. Tuesday at ticket.yes24.com. Tickets for “Happy Family Zone” and for the handicapped will be made available at 10 a.m. the same day.